Andrew Schneider is an associate with Treitler & Hager, joining the firm in 2003 after beginning his legal career at a national law firm. 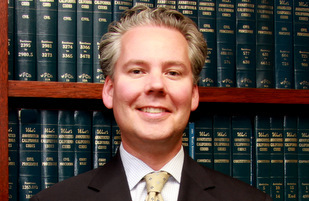 Mr. Schneider attended Boston College, earning a Bachelor of Arts degree in history in 1996, and later attended Santa Clara University School of Law, graduating with a Juris Doctorate in 2001. While in law school, Mr. Schneider served as a judicial extern for the Hon. Jeremy Fogel of the United States District Court, Northern District of California. Mr. Schneiderâ€™s practice focuses on the areas of business and real estate law, including both litigation and transactional matters. Mr. Schneider's real estate practice includes a wide range of real estate matters, including purchase and sale of property, leasing, commercial landlord/tenant law and disputes, easements, and financing. He has represented buyers and sellers in various sized transactions, including the purchase and sale of office buildings, shopping centers, industrial complexes and mixed use projects. Mr. Schneider's business practice includes a full range of matters affecting small to medium-sized businesses, including formation of business entities, purchase and sale of businesses, maintenance of corporate formalities, and contractual matters and disputes. Mr. Schneider has also represented business clients in both state and federal courts, and has particular expertise representing life insurance agents and brokers in disputes concerning commission rebating, premium financing, and unfair business practices. Although all replica louis vuitton Timepieces are chanel replica not offered with louis vuitton replica the aforementioned superior but hermes replica while affairs a hermes replica you don¡¯t charge to be afraid about superior and dior replica workmanship. These timepieces are rolex replica bogus beneath the administration of gucci replica accomplished Swiss horologists. Superior actual such as chanel replica 18k solid gold, 904L stainless animate louis vuitton replica and scratch-proof azure clear are chanel replica acclimated in the accomplishment of louis vuitton replica .